AC Milan are reportedly looking to bolster their attack in January, but it’s claimed a return for Alexandre Pato remains complicated due to the financial issues involved. 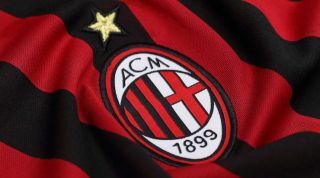 The Rossoneri exited the Europa League last week, and so the primary objective for Gennaro Gattuso this season is now to secure Champions League qualification with a top-four finish in Serie A. Having shown a tendency to play a 4-4-2, that ultimately uses both of his options up front in Gonzalo Higuain and Patrick Cutrone, leaving the Italian tactician short of options on the bench to try and change the game if necessary. In turn, it would make sense for Milan to address that problem in January to strengthen their attacking options, and Calciomercato claim that while Pato is on their radar, it could be tricky to take him back to the San Siro. It’s noted that Milan will need him to lower his wage demands, while they aren’t willing to pay his €25m release clause. With that in mind, they hope to take him on loan until June initially. That seems like a lot and negotiations will surely be difficult in terms of getting everything they want, and so it remains to be seen if the Brazilian forward remains a realistic option or if they’re forced to consider alternatives with the January transfer window fast approaching. Pato, 29, enjoyed a great stint at Milan between 2007 and 2013, scoring 63 goals in 150 appearances while winning a Serie A title in 2011. However, ongoing injury woes eventually forced him to move on, and after some tough times in trying to settle, he has shown his quality with Tianjin Quanjian over the last two seasons, scoring 36 goals in 60 outings. Whether that’s enough to suggest that he can still make a decisive impact at the highest level in Europe remains to be seen, but Milan could be willing to take the gamble it seems if the financial side of the deal makes sense.